IBM (NYSE: IBM) and the United States Tennis Association (USTA) today announced that IBM Watson is coming to the US Open Tennis Championships for the first time via a new cognitive concierge feature being piloted within the tournament’s official mobile apps to enhance the fan experience at the Billie Jean King National Tennis Center. 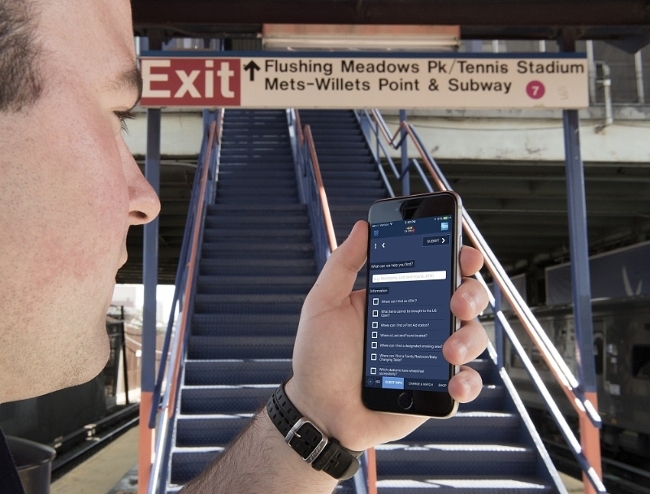 The US Open mobile app Guest Services companion will pilot a Watson-enabled discovery tool that allows fans to input natural language questions and receive immediate responses about a range of tournament topics, such as transportation and directions, food and drink options, on-site services and facilities, as well as other topics. By tapping into the Natural Language API from the Watsonplatform, the AI-infused app will enable fans to ask questions in natural language and get the information they need to plan and navigate their tournament experience. For example, fans can ask questions like, “Where can I get a soda?” or “Where are the taxi stands?” Due to Watson’s machine learning capabilities, the app also continuously learns from previous interactions helping further refine its responses over time. Available for download, the Watson-enabled mobile apps for AppleiPad and iPhone, and Android devices are built to engage and inform US Open fans while enriching their understanding of the game – no matter where they are following the tournament. The apps also offer an interactive second screen experience for fans watching the Open on TV. The Watson Speech-to-Text API will “listen” to video-on-demand clips of player interviews, tournament action and automatically generate subtitles and transcripts for videos published to the US Open website and other digital platforms. The Watson Visual Recognition API will dynamically analyze every photo taken by the USTA photographers to accelerate identification of photo subjects (players and celebrities), allowing the USTA to speed publication of photos across its digital environment. IBM and the USTA are furthering their 25+ year partnership and commitment to delivering new and enhanced technologies that continuously improve and transform how fans follow and watch the tournament – both in the stands and on the go. That commitment has led to the redesign of the US Open digital fan experience across all platforms, enabling it to dynamically adapt to a user’s device and provide optimal viewing and engagement. IBM also has extended the real-time SlamTracker analytics technology to mobile devices for the first time at the US Open, allowing fans to quickly go beyond scores to analyze current and historical player, match and tournament data. SlamTracker delivers an unprecedented level of analysis, insight and engagement as tennis matches unfold. Also new for this year, SlamTracker will offer insights based on “pressure situations” within a match that will show the historical performance for a player when in a specific match “situation,” revealing hidden patterns in player and match dynamics. Additionally, SlamTracker enables fans to share insights via their social media accounts with the push of a button. At the core of SlamTracker’s predictive analytics technology is “Keys to the Match,” which analyzes eight years of Grand Slam tennis data comprised of 41 million data points to identify three key performance objectives a player has to meet to succeed within a match. Prior to a match, fans can access SlamTracker to check out each player’s keys and during the match follow the players’ progress against these keys in real time—point by point. Ensuring tennis fans remain connected to the US Open action, video streams, SlamTracker insights, and other content is a multi-active IBM hybrid cloud environment that enables the US Open to rapidly scale and increase capacity to meet unpredictable spikes in demand and traffic throughout the championships. This hybrid cloud environment, which shares resources with Australian Open, Roland Garros, The Masters Tournament, Tony Awards and ibm.com, is comprised of three private cloud locations and four public cloud locations. The advanced technology platform that powers the US Open fan experience is supported by a range of hardware, software and services, including IBM Power systems; IBM Cloud Orchestrator; IBM WebSphere and Tivoli Storage Manager software; Apache Spark on Bluemix; IBM QRadar; and a range of other IBM technologies that help the USTA capture, analyze, publish, store, monitor and secure the historical and real-time tournament data. Watson makes sense of the breadth and diversity of the world’s structured and unstructured data across a variety of industries, including sports, medicine, travel, retail, and many others. For more information on IBM Watson, visit: ibm.com/watson/ and ibm.com/press/watson.